The maple leaves have been glorious lately, especially when the afternoon sun hits them. I think they're at their very best this time of year! I hope you're feeling at your best too on this sunny December day! 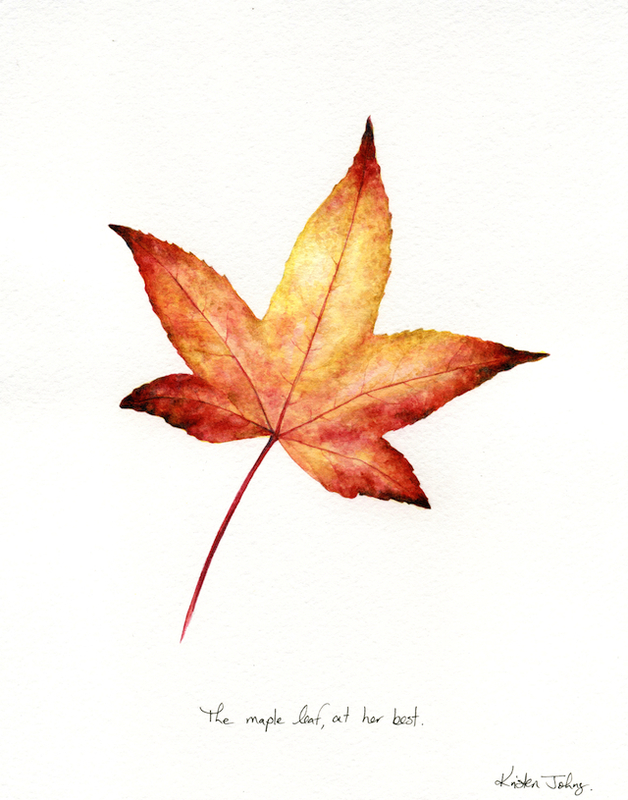 "The maple leaf, at her best"
The original 8 x 10 inch watercolour painting is currently available in my shop. I love the shape, colour and edge of this leaf! It so perfect for December!